It won't take an iota of doubt to assert that India, as a cricketing nation have been more than blessed to have always enjoyed the problem of plenty. 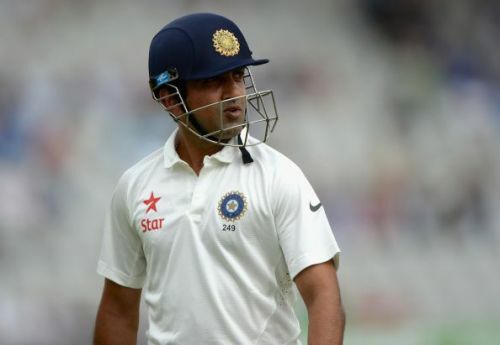 The case with Gautam Gambhir was not too different when he broke fresh into the national scene, As he was one of the many capable contenders of making it to the team. Though he first came into the spotlight in 2002, Gambhir was someone who did not seem as gifted as some of his competitors, Though his unmatched passion for sporting the national jersey and never-ending appetite for runs, kept getting the best out of him handing him a regular place in the national side. Almost a couple of decades down the lane, Gautam Gambhir has had many qualities that helped him in shaping his cricketing career perfectly. Be it his ability to give back everything thrown over him through aggression or the ton of generous gestures that he has displayed every time and again. Gambhir, like any other cricketer, has had a career studded with rejoicing flourishes and disheartening downfalls. Despite experiencing a plethora of extremes, His dedication always made him stand out, getting the very best out of him. Passion, fire, zeal he had got everything inside just to bring his best out. He career has been a beautiful exhibition of exquisite sportsmanship, be it his decision of dropping himself from the DD Team in IPL 2018 or sacrificing his opening position for Sunil Narine in its previous edition or giving over his player of the match title to young Virat Kohli in 2009. His career was one filled with remarkable sacrifices and contribution in the interest of the team. As Gambhir calls it a day, We look back at some of the beautiful knocks that he played over the course of his almost a couple of decade-long eventful career.